Striped Bass and Bluefish fishing is good at the usual locations: The Race, Plum Gut, and Pigeon Rip. 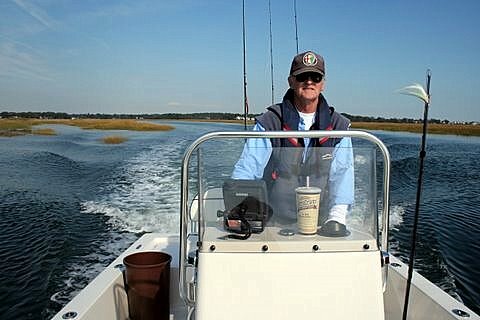 Other fishing locations worth trying include the Watch Hill area, outer Bartlett Reef, Black Point, Hatchett Reef, lower Connecticut River, Long Sand Shoal, Cornfield Point, Southwest Reef, Six Mile Reef, Falkner Island area, the reefs off Branford, and New Haven Harbor (including Sandy Point). Also, Milford Harbor breakwaters and the Charles Island area, buoys 18 and 20 off Stratford Point, Stratford Shoal/Middle Ground, Penfield Reef, around the Norwalk Islands and rocky reefs, and Cable and Anchor Reef. And, don’t forget about Connecticut coastal state parks for wetting a line! Go to the following website to locate a fishing spot near you! www.lisrc.uconn.edu/coastalaccess/. Fluke fishing over this past week has picked up in deeper water (60 ft+) with some doormats closing in the double digit mark in pounds! Fishing locations include Horton Point, Mattituck area, Mt. Sinai, and Port Jefferson on the north shore of Long Island, south side of Fishers Island, mouth of the Mystic River over to Groton Long Point, Thames River mouth, Black Point/Niantic Bay including the “Bloody Grounds”, Long Sand Shoal, Westbrook-Clinton area, Falkner Island area, New Haven Harbor to the West Haven area, and off the mouth off the Housatonic River. Porgy fishing is fair to good on the major reefs. Weafish fishing best chances are in New Haven Harbor and the Milford – Stratford area. The Black Sea Bass fishing season opened June 15th.